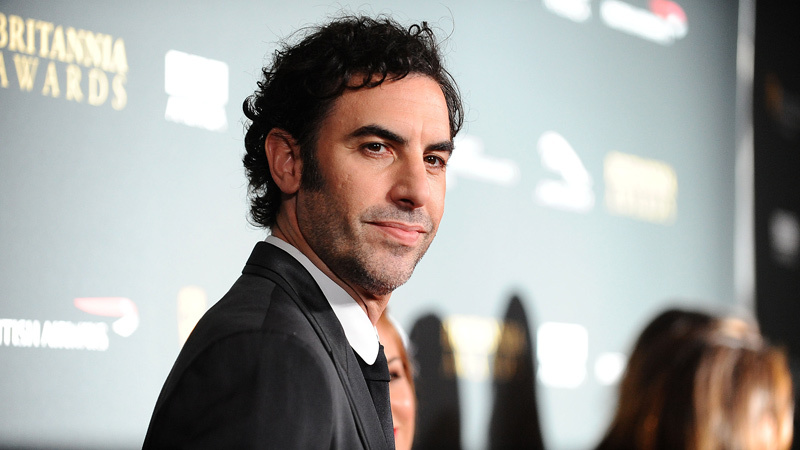 Sacha Baron Cohen is in “early talks” to join the cast of Through the Looking Glass, the sequel to 2010’s Alice in Wonderland, Variety reported yesterday. Alice director Tim Burton has been replaced with James Bobin (who helmed 2011’s The Muppets, co-created Flight of the Conchords, is attached to the upcoming — and ambitious — adaptation of A Confederacy of Dunces, and wrote for Cohen’s Da Ali G Show), but Mia Wasikowska (Alice) and Johnny Depp (the Mad Hatter) are set to reprise their roles. Linda Woolverton, who wrote Alice’s screenplay, will also stick around for the sequel. While Variety described Baron Cohen’s role as the villain, Bleeding Cool got more specific: The evildoer is Time — which would make a lot of sense, given the rumor that the sequel will jump around chronologically (and feature younger versions of Wasikowska and Depp) — and male and female actors were both in consideration for the part. Through the Looking Glass, scheduled for a May 2016 release, will reunite Baron Cohen with his Sweeney Todd costar Depp. The pair each has a full dance card for the next few years: IMDbPro lists 20 titles in development for Depp — as actor or producer, along with a few “rumored” projects that might be throwaways — not to mention the gossip regarding his potential appearance in Marvel’s Dr. Strange; Baron Cohen has been busy developing Grimsby and The Lesbian. Soon, you’ll also be able to brush up on your booyakashas with FXX’s Ali G: Rezurection. Alice took enough liberties in deviating from its source material — not that you seemed to mind, because it grossed more than a billion bucks worldwide — that it’s tough to predict what Looking Glass will look like. Good thing we have two and a half years to sit around and wonder! What, did you have other plans? I didn’t think so. You’ve been too sad about Cohen quitting the Freddie Mercury biopic to do anything but cry while despondently trying to choke out the verses of “We Are the Champions” and thinking about the dead shell of a PG Queen movie. But be careful, fragile kittens: The details of Through the Looking Glass are being kept secret, and until Baron Cohen is confirmed, this could be just another fake-out.